When we create our offer at Terma Bania, we devote a lot of attention to kids. Families with children have a dedicated part here, called Fun Zone. Kids along with their parents can rant and rave in many spots, which were designed for that purpose. 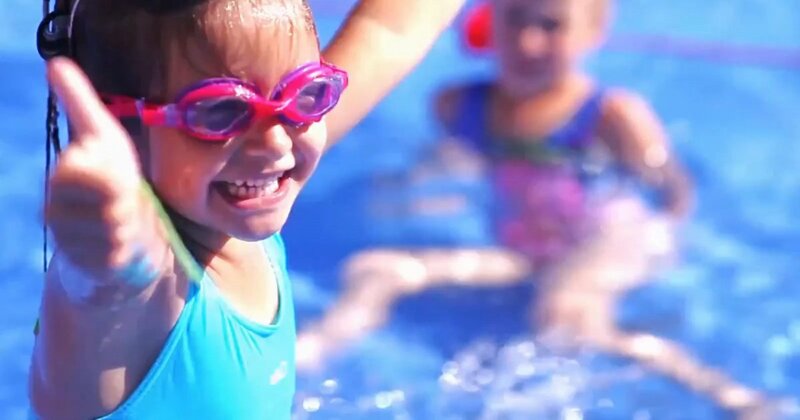 Smiles are never disappearing from our youngest guests’ faces, while their parents can relax better, knowing that their little ones are having so much fun. Fun Zone is a place created with the youngest ones in mind; therefore, almost all of the attractions are devoted to their needs. 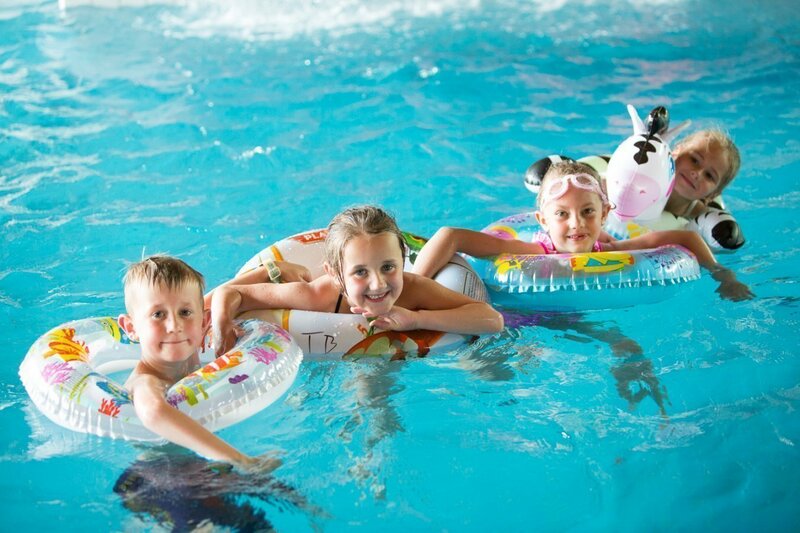 Indoor and outdoor pools are filled with thermal water in a temperature ranging from 34°C to 38°C. Because of that, even during the toughest winters it is possible to use the outdoor pools with pleasure. Terma Bania will raise your adrenaline and endorphin levels. 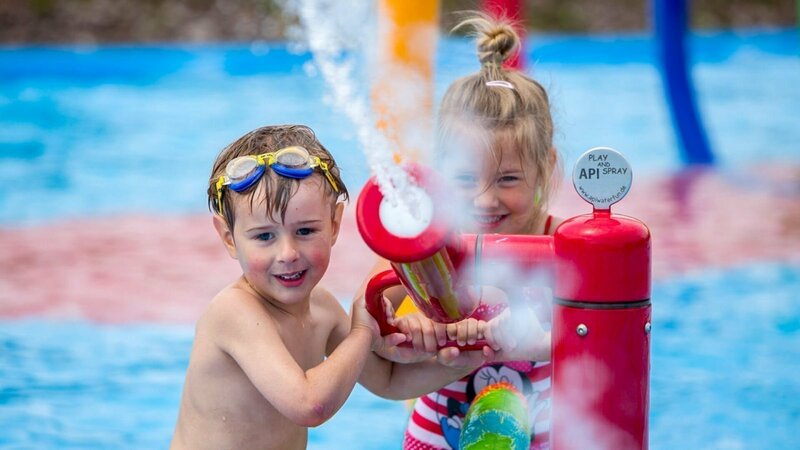 Most notably, an intense fun will be achieved through the waterslides: loved by the youngest ones Family waterslide, twisting Anaconda, full of excitement Pontoon and dedicated for the older guests superfast Turbo. All together measure over 300 meters. 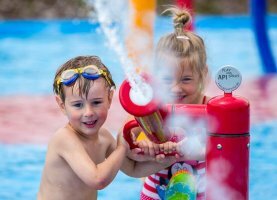 The pools are equipped with water attractions, which will make both children and parents happy. Located in the basins of Fun Zone are among others: water carousels, water cannons and cascades, a pool with artificial wave, a cave with geyser, waterfall, benches for bottom and side massage, a rapid river and geysers. The zone also contains Jacuzzi bathtubs. Attractions for the little ones are important parts of our Fun Zone. That is the idea behind the dedicated zones such as Termusiowy Brodzik footbath and indoor Water Playground. Termusiowy Brodzik features water cascades, towers with self-filling buckets, and a water hedgehog. 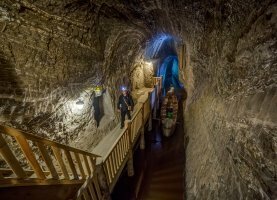 The basin is filled with thermal water, but its depth is no more than 35 centimeters. 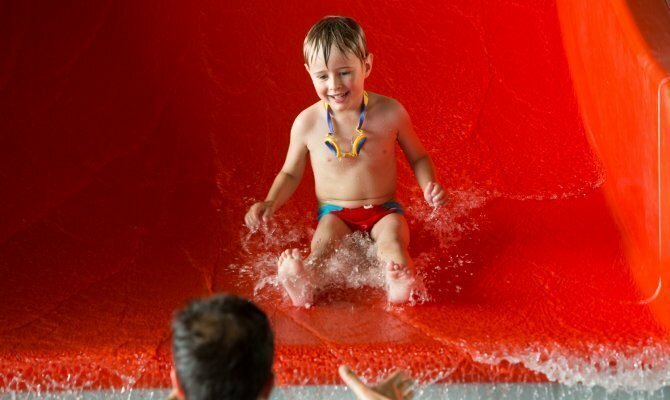 Endless fun awaits the youngest children in a specially dedicated zone - an indoor water playground on the mezzanine, which includes a mini slide, a water snake, an interactive turret with buckets and magic islands. 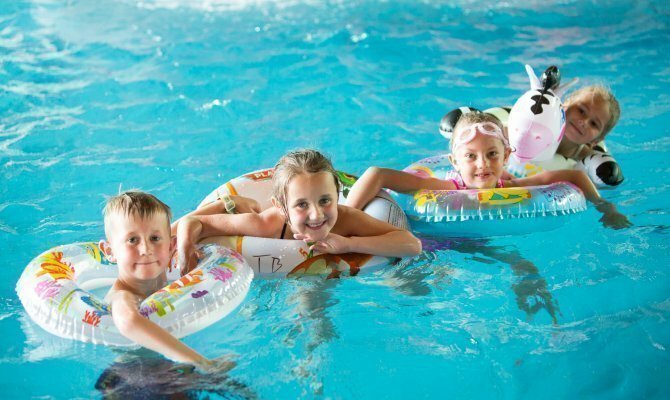 The water level in the indoor playground is designed to cater to the youngest, and this is all about safety. 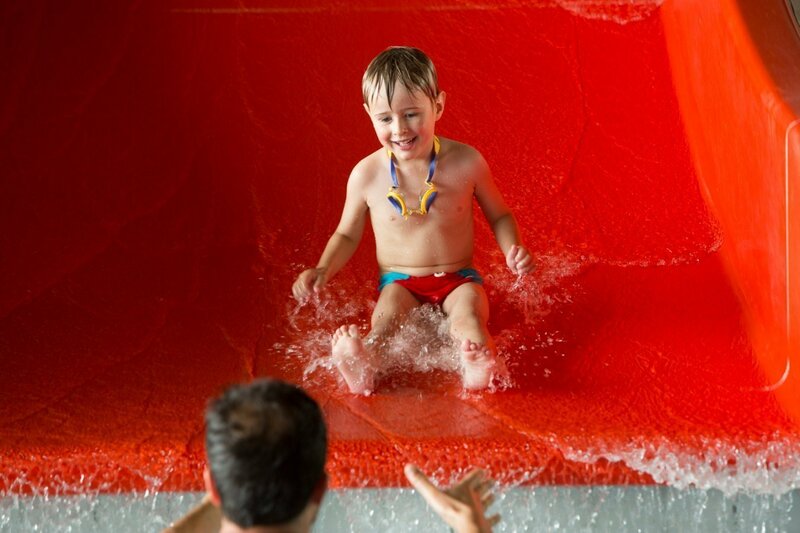 all season waterslides: Anaconda, Turbo, Pontoon and Family - it all adds up to over 300 meters of water attractions. water carousels, water cannons and cascades, a pool with artificial wave, a cave with geyser, a waterfall, benches for bottom and side massage and 2 Jacuzzi bathtubs. sunbathing zone (over 500 comfortable deckchairs). Bathing there helps with many ailments such as headaches, muscle and joint pains. It also tones skin ailments, regulates endocrine system, reduces high blood pressure, improves metabolism and lowers the stress levels.